The singer and musician Paul Weller had been with friends to see Brian Wilson play at London's Royal Festival Hall. It was a great show and his party – Weller, his sister Nicky, her boyfriend Russ, radio presenter Gary Crowley and music journalist Paolo Hewitt - were in high spirits. They went to a bar in Maida Vale to carry on drinking. Weller gave Crowley money for the first round. When he returned to the table with the first few drinks, Weller misread the situation, thinking it was the whole round. In a flash he turned on his friend. "Where's my f****** change, Gary?" he demanded. "I haven't got all the drinks yet," Crowley explained. "I'm just paying for them." "Make sure you f****** give me the change," Paul snapped. In an instant the collective mood of happiness had been extinguished. Such boorish behaviour was typical of the man who founded The Jam and The Style Council, as Hewitt reveals in an unauthorised biography, Paul Weller: The Changing Man. Hewitt, a close friend of Weller for almost three decades, recounts numerous occasions when a drunken Weller upset or insulted people. 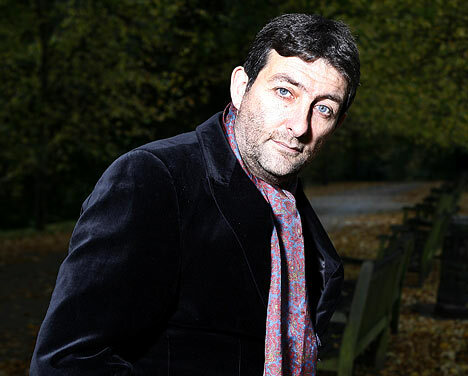 Once, Hewitt and Noel Gallagher had to stop him from physically attacking Martin Carr, the guitarist from the Boo Radleys, who had criticised Weller in the Press. Another time, Hewitt himself was on the receiving end of Weller's aggression. "One night at Gary Crowley's flat, we nearly came to blows," he recalls. "Paul was droning on and on about how crap computers were, how the internet was rubbish, and suddenly I snapped. "'Do you want to go outside?" he asked, fixing me with a stare. "Sort it out?" "I left soon after," says Hewitt. "He has asked me outside for a fight at least three times over the years. He could be mean, bullying, incredibly selfish and highly intolerant. "He has a brooding presence which fills the room to such an uncomfortable level that people are forced into silence." Weller usually abhorred violence, according to Hewitt, but he was also fascinated by it. "I remember one day asking him what he'd got up to the night before and him replying that he had watched A Clockwork Orange 'for the millionth time'. Then he added, 'I got to stop watching it,' as if he was deriving some kind of unhealthy pleasure from it. "There is a mean streak in Paul that in part mirrors the film's main character, Alex, and his violent tendencies. "It is one of the reasons Paul inspires wariness in all close to him." Hewitt and Weller were introduced by a mutual friend in 1975. They both came from Woking in Surrey and they shared a working-class background, an encyclopedic knowledge of music and an interest in politics. By the time The Jam had their first No1 with Going Underground in March 1980, the pair were good friends. 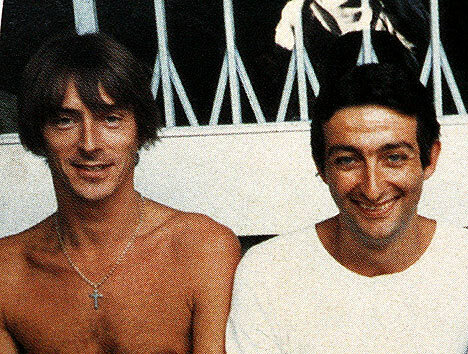 Hewitt, by now a writer working for Melody Maker and NME, witnessed Weller's volatile relationship with his girlfriend Gill Price, whom he met at a Jam gig and dated for six years. They broke up during a tour of Japan, two years after the group had disbanded. "The pair argued continually and the fights were not just verbal," recalls Hewitt. "Once, Paul had to go to hospital after bringing a china cup down on his own head in frustration during an argument. I even saw them wrestling on the pavement outside the ICA in London, Gill clawing away at Paul, Paul trying to avoid her nails." 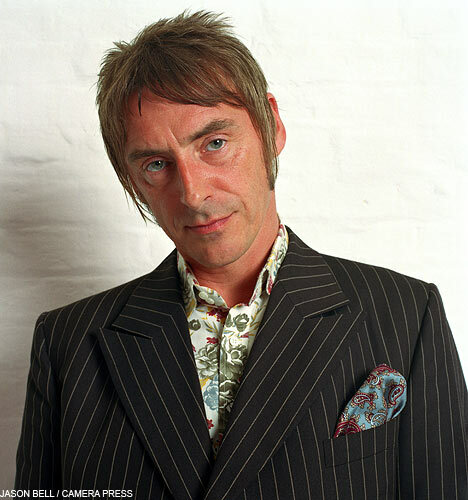 It was while he was in The Style Council, the band he formed in 1983, that Weller met his future wife, Dee C. Lee. The couple married in 1988 at a register office in Basingstoke, Hampshire, and had two children, Nathaniel and Leah, before separating a week after the 1994 Glastonbury Festival. By this time Weller had launched a solo career - his first single Into Tomorrow, released in 1991, just reached the charts. "Paul was going through a real crisis at this juncture," reveals Hewitt. "I looked at his face, saw the very real worry shooting through his eyes and I was stunned. "If there was anyone I knew who was an artist, it was this man." After his marriage broke up, Weller began dabbling in drugs. "It was the beginning of a period in his life characterised by a regular ingestion of chemicals," says Hewitt. "Until then he had steered clear of them. "He had tried Ecstasy once - he took a quarter of a pill on New Year's Eve 1990 at a club in Paddington and nibbled on my ear for five minutes. But it was only in the mid-Nineties when, as the Blur musician Damon Albarn so succinctly put it, 'a blizzard of cocaine descended on London' that Paul really turned his attention to chemicals. "Cocaine was his thing, as it was for many others." He had always been a big drinker. Introduced to alcohol as a child by his grandmother, he began drinking regularly at the age of 14. There was the time he drank so much with his friend Stephen Cradock that they ended up lying in the middle of the road in the genteel village of Ripley in Surrey, roaring with laughter as cars swerved around them. In the early hours of the morning Weller's mother Ann received a phone call from the police station. "Get them home, Ann," the policeman said. "We wouldn't want this in the papers." She took them back and sobered them up with black coffee. Weller's lack of tolerance sometimes had comic consequences. "After lunch one day, Simon Halfon (his designer) gave Paul and me a lift in his 1967 Mustang," Hewitt remembers. "I was sitting in the back, Paul and Simon up front. Simon, who was driving, turned on the car radio. 'Turn that s*** off,' Paul snapped. "'For God's sake,' Simon shouted back, "it's you, you idiot." "And it was. It was his song The Changing Man." In the biography, Hewitt paints a picture of a tortured rock star who strives for perfection, can't take criticism and is obsessed with getting older. "He's a perfectionist," says Hewitt. "He is also obsessed with age. Looks have always been important to him, but he'll be 50 next year. "He used to be in the newspapers criticising David Bowie and Paul McCartney for being on Top Of The Pops at the age of 50. And now it's his turn to be similarly ridiculed by others. "People really like him because they see him as someone who has stuck to his guns and hasn't sold out. "But Paul Weller of The Jam would hate the Paul Weller of today." Hewitt will not reveal why he fell out with Weller in February 2006, although he admits they had a difference of opinion. They have not spoken since. "He has never rung to apologise or explain his actions," says Hewitt. "He triggered stuff from my past about rejection. His behaviour was just totally thoughtless. "Afterwards I thought, I really can't be made to feel like this any more. "I do love him but he is a kid, a spoilt little kid. When you go into the music business you are allowed to get away with everything. "But I'm not in that business and I've grown up. "He was the one person in my life I was always wary of ringing up. "You never knew which Paul would come to the phone. It might be happy Paul, angry Paul, depressed Paul. "You just had no way of knowing. It made him a minefield to negotiate. Friendship with Paul was a double-edged sword." • Paul Weller: The Changing Man, by Paolo Hewitt, is published by Bantam Press, RRP £18.99.